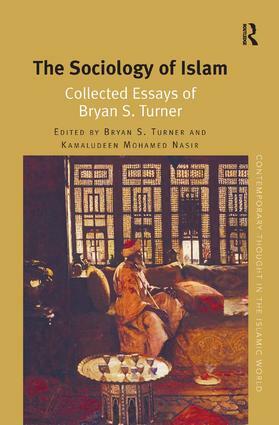 Bryan S. Turner is the Presidential Professor of Sociology at the Graduate Center, The City University of New York where he serves as the Director of the Committee on Religion, and he is concurrently the Director of the Centre for Religion and Society at the University of Western Sydney. He was awarded a Doctor of Letters by Cambridge University in 2009 and his latest monograph called Religion and Modern Society: Citizenship, Secularisation and the State appeared in 2011. He is the founding editor of a number of journals (Citizenship Studies, Body & Society and Journal of Classical Sociology) and book series (Muslims in Global Societies and Religion in Contemporary Asia ). Kamaludeen Mohamed Nasir received his PhD from the University of Western Sydney in 2011. He is currently an Assistant Professor of Sociology at the Nanyang Technological University, Singapore. He is the co-author of two books called Muslims as Minorities: History and Social Realities of Muslims in Singapore and Muslims in Singapore: Piety, Politics and Policies. His recent articles include Rethinking the 'Malay Problem' in Singapore: Image, Rhetoric and Social Realities and Poetic Jihadis: Muslim Youth, Hip-Hop and the Homological Imagination.